CycleOps 200 Pro Indoor Cycle Exercise Bike provides all the performance benefits of both Joule and our Pro Series frame. Joule includes dashboard, reports and history of your basic cycling functions. The Pro Series frame offers freewheel gearing and allows you to quickly adjust all geometries necessary for creating the perfect fit. Manage data with Joule 2.0. Precise resistance control lets you control the difficulty level. Freewheeling hub lets you stop pedaling and coast. ToughTrain 3.5 out of 5 Perfect exercise bike that gives you the effect of outdoor cycling in a very reasonable price. *Note: Most of the sites, stores or shopping portals listed above sell CycleOps 200 Pro Indoor Cycle Exercise Bike with discounts and other exciting offers. 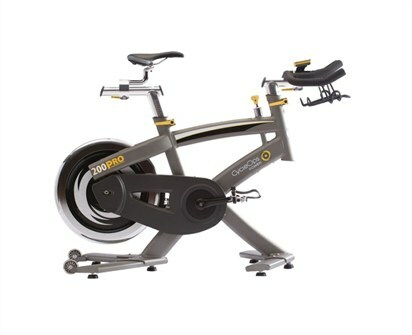 There is a possibility that the some of above websites are not selling CycleOps 200 Pro Indoor Cycle Exercise Bike now. Toughtrain.com is not liable for such cases or instances. Also we do not recommend any seller for CycleOps 200 Pro Indoor Cycle Exercise Bike and a buyer should buy from where he/she gets best deal with quality of products, service and on time delivery (shipment).